I only recently tried a cream blusher for the first time. 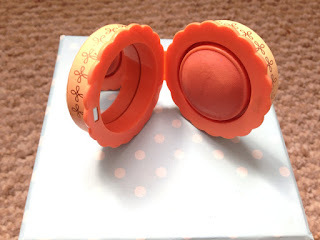 I have always stuck to powder blushers as they are amazing but I got a Bourjois cream blusher in the Summer Glamour Beauty Edit box and I fell in love with cream blushers and have been wanting to try different ones ever since. Thanks to my cousin I got Benefit Cosmetics new blusher called Majorette and I am totally in love with it! The peach-pink shade adds a natural rosiness to your cheeks and adds a lovely touch of colour, it's a beautiful shade that will look great throughout all seasons, especially during the cold winter months when you want some colour on your face. 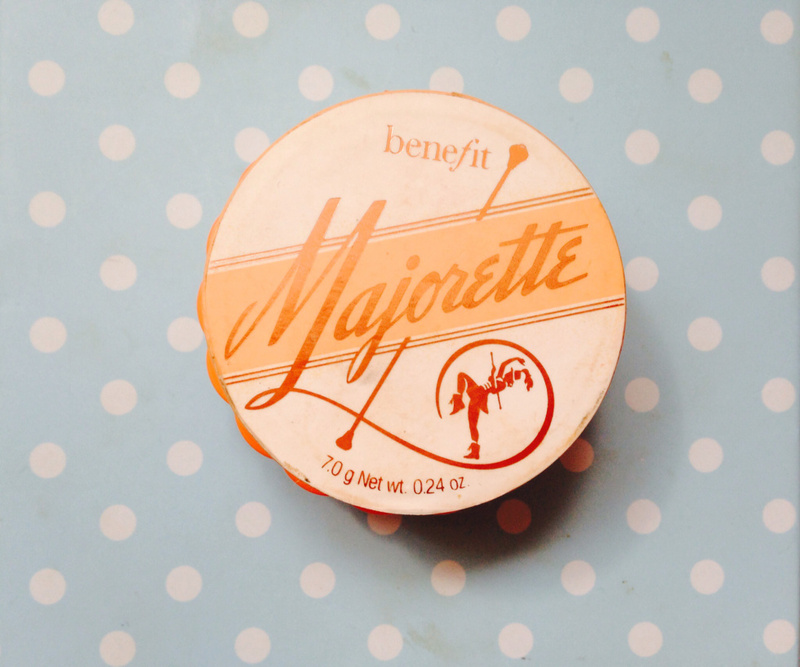 It's a very good blusher and doesn't fade easily, Majorette stays on all day. Majorette has a peach and pomegranate fragrance which smells incredible, I hate the cosmetics which just smells like make-up and I find them so boring. 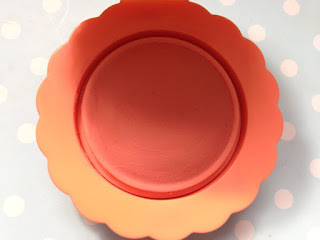 Every since trying Bourjois blushers, I refuse to go back to non-scented blushers and I love when make-up smells fruity, it is such a refreshing touch and makes beauty products stand out. This is without a doubt a five star product, probably even more!! It's fantastic and even though it costs £23.50, it is worth every single penny. I would definitely buy Benefit Majorette blusher when my one runs out! I would recommend it to all make-up lovers, it is truly awesome. You can buy it online from Benefit, Boots or John Lewis.